Natural hair restoration and hair re-growth supplements are a powerful addition to your arsenal to stop hair loss. Although hair loss supplements are essential, you absolutely must provide a nutrient-rich diet first. Supplements come second. Supplements will stop shedding and hair loss, and give you the peace of mind you deserve. Okay. By now, you've already been to our boot camp for hair loss. Our hair loss diet page is the most comprehensive on the world-wide web. Our hair loss menu and low glycemic diet page provide a tremendous head start to discovering the truest scientific causes of hair loss. If you have not visited our hair loss diet page, please do so now and come back to this page. The information listed here will be much more understandable to you. Click here for our main hair loss diet page. Read our visitors' hair regrowth success stories. You won't believe your eyes! This is the result of hard work and patience! Click here to order the Hair Loss Diet Blueprint & Navigation Guide. This ebook will deepen your understanding of the concepts related to the diet, and answers your most frequent questions. If you've come here from our main hair loss diet video, the supplements listed there are in the video below. There's also a list of the best hair growth supplements for men and women at the end of the video. The hair growth supplements below are the exact same ones listed in the video above. Click the links below to order. I have gotten all the supplements you recommended plus of few others, and since implementing them, the vellus hairs have starting growing quite rapidly. They are still clear and I can't seem them unless I use certain lighting, but they're obviously growing. Actually, some of them are the same length as my normal hair except for the lack of pigment. This is so exciting, especially since these tiny hairs in the temple line up with the hairline in the middle of the front of my hair. Like what was happening for Cardaro, if I want this progress to continue, I must stick with the diet first and foremost , as well as continuing my nightly routine of massaging my scalp and using different nourishing oils.
" 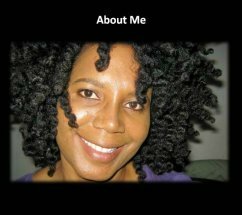 If I stray I shall pay"
For natural hair loss prevention, Saw Palmetto gets rave reviews to block DHT. Several studies have shown that Saw Palmetto blocks the enzyme 5-alpha-reductase, which is the enzyme responsible for converting testosterone to DHT. DHT is the hormone responsible for male-patterned balding. In comparative studies, Saw Palmetto has been shown to be more powerful than Propecia. Some men experience side effects while taking Saw Palmetto, including breast tenderness, loss of libido, erectile dysfunction, nausea and vomiting. Saw Palmetto should not be taken by young men under the age of 25. Saw Palmetto is not intended for use in women. Note: If you are taking Propecia, you should not take Saw Palmetto. This one is the best. Ho Shou Wu or Fo-Ti is the supplement that I've used the most. I've used it for years. And it's inexpensive. This Chinese herb is very famous for natural hair restoration. Ho Shou Wu, which means "Mr. Ho Has Black Hair," is used to treat graying and balding. The more common name is Fo-Ti. Ho Shou Wu does what it says it does. It converts fine vellus hairs into thick terminal hairs. Ho Shou Wu or Fo-Ti is the fourth most popular herb in China. I have found that Fo-Ti, or Ho Shou Wu, creates hair that simply appears a lot less gray. Fo-ti very slowly reverses gray hair. It also appears to thicken the hair considerably. Warning: If you get diarrhea, stop taking Fo-Ti until it passes. Fo-Ti can seriously aggravate or even cause diarrhea. If you have a liver disease, be careful with Ho Shou Wu. Ho Shou Wu may also cause headaches. For outstanding results, you do have to patient. It can take several months for Fo-Ti's benefits to unfold. Anti-aging experts recommend Chlorophyll. I've seen numerous testimonials regarding Chlorophyll tablets, and they have all been positive. Chlorophyll can re-start hair growth, even in advanced balding. Gary Null, in The Ultimate Anti-Aging Program, states that he felt the bristling of new brown hairs growing in after taking Chlorophyll. In addition, natural hair restoration always begins with dark green vegetables. They are loaded with chlorophyll. Side effects: There may be a tendency for Chlorophyll to turn stools green and potentially cause stomach cramps. Nettle root is one of the the top rated herbal remedies for hair loss in males. 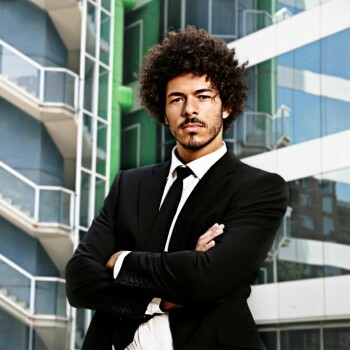 This gentle natural hair restoration supplement can be taken by young men and older men. Men who take nettle root report significant hair regrowth within two to three months. Experts across the board recommend nettle root for hair loss in men. Pygeum is a very important herbal supplement for hair loss in males. Pygeum interferes with DHT, which is the hormone responsible for male patterned balding. Pygeum along with nettle root, act powerfully to stop and reverse hair loss. For natural hair restoration, biotin is the top choice. 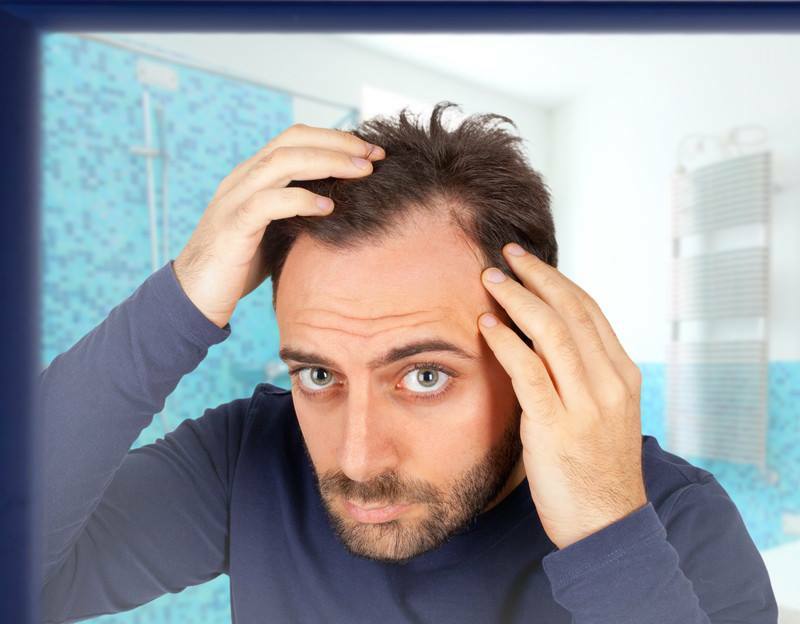 Biotin deficiency is very common in men with hair loss. Biotin supplements have been shown to completely reverse hair loss. In many cases, biotin can stall and/or reverse balding and thinning. If you are not getting enough biotin or Vitamin B complex in your diet, you can experience gene mutations that can lead to hair loss. It is extremely important to use diet and supplementation to correct this problem. Don't forget that eggs contain biotin and will give you thick, gorgeous, shiny hair. Fish oil moisturizes dry hair and greatly improves the texture. Fish oils have essential fatty acids that are critical for reducing inflammation and increasing the vitality of your hair. For people who dislike fish, a high-quality fish oil is an excellent substitute. Cod Liver Oil has potent essential fatty acids that are important for healthy hair growth. Cod liver oil is also loaded with Vitamin D. Scientists have now discovered that low Vitamin D levels are linked to hair loss, but they're not exactly sure how. Low Vitamin D levels are a prevalent problem either because of a lack of sunlight or lack of proper nutrition. Cod liver oil is an old natural hair restoration remedy that's making it's way back into the mainstream. Cod liver oil promotes hair growth and thickens the hair. Also, cod liver oil can be topically applied to the scalp to encourage thick hair regrowth. GLAs or Gamma Linoleic Acid: I have found that with the use of GLAs, it reverses balding. And if you've noticed your hair becoming shorter with age, GLAs lengthen the hair as well. GLAs include borage oil, black currant seed oil, evening primrose oil, sesame oil, and linseed oil. GLAs are highly recommended for both men and women. What I do is alternate the use of borage oil and black currant seed oil. I sometimes exchange one for the other. Borage oil has the highest concentration of GLAs at 24 percent. Black currant seed oil is also a top choice. If you've read our pages on hair loss, you have learned that lack of Vitamin B complex is one of the top reasons for hair loss. You can boost your body's ability to convert and utilize this essential nutrient to re-grow your hair. Folic acid and biotin are in the Vitamin B family. B vitamin complex is essential to promote healthy hair growth. 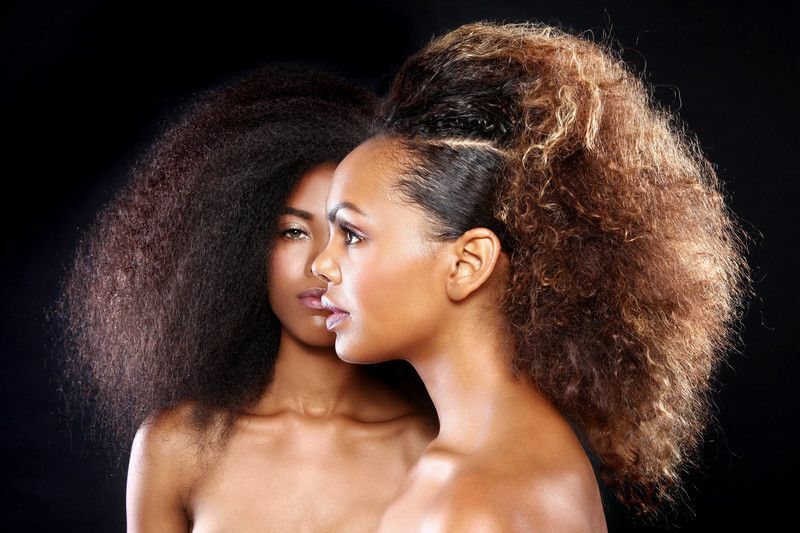 For natural hair restoration, always be aware of Vitamin B complex. Please note that Vitamin B complex should not be taken in place of fresh green vegetables. Vitamin B complex should be used to supplement the hair loss diet. Vitamin B complex is excellent for both men and women. Horsetail: Promotes thick hair growth. Spirulina: Algae, contains vitamins and minerals that promote healthy hair growth. Boosts iron. Zinc and Selenium: Studies show that zinc inhibits 5-alpha reductase, which protects hair follicles from DHT. If you are taking Zinc orally, it's best to take Zinc Picolinate, which is a highly digestible form. Please be careful with dosage. Too much zinc can cause hair loss. Ladies, please don't believe the hype. We do not automatically lose our hair in menopause. There are a ton of things you can do to recover your hair! Listed below are top supplements for menopause-related hair loss. Vitex is the number one supplement for hair loss in menopausal women. This supplement boosts progesterone in your system. Progesterone is a hormone that is critical in regulating all of the other hormones in your body. Low progesterone has a strong link to hair loss. Vitex also corrects many other hormonal imbalances caused by menopause. Vitex is also a very powerful anti-androgen. Vitex capsules are excellent for the internal production of progesterone, which is necessary for hair growth in women. Vitex also goes by the name of agnus castus or chasteberry. Vitex can also be used by younger women without any problems. Dr. Christiane Northrup advises the use of traditional needle acupuncture to regrow hair. Progesterone cream is excellent for women who are experiencing late in life, menopause-related hair loss. For women in mid life, low progesterone levels can cause hair loss. Smooth a small amount of natural bioidentical progesterone cream into your skin, and you can encourage natural hair restoration within about three months. One bottle lasts for about three months. Natural progesterone cream along with Vitex, Fo-Ti and Borage oil will knock menopause-related hair loss out of the ballpark. It's best to get a natural progesterone cream free of PBAs and other additives. I really love Natural Radiance. The first time I used this cream, I was hooked. I can't be without it. Men can benefit from progesterone as well. I've read case studies of men who lifted their libidos and their moods with progesterone cream. Borage oil is my top recommendation for natural hair restoration. Borage oil is critical for menopause-related hair loss. Borage oil thickens and lengthens the hair shaft. Borage oil contains (EFAs) essential fatty acids the hair needs for vitality and health. Borage oil is essential for men also. Dr. Oz highly recommends black currant seed oil or evening primrose oil, which also have high concentrations of essential fatty acids. Are You Stressed Out Because of Hair Loss? If you are having emotional stress related to your hair loss, please visit our hair loss forum. You can tell us your story, ask a question, or read contributions from other readers! Link here to our page specifically written for the stress caused by hair loss. You will gain keen insight on how to solve emotional issues associated with hair loss. Our video below explains why it's much safer to remove the plastic coating of your supplements. Blow drying damages hair. An alternative is to band your hair. 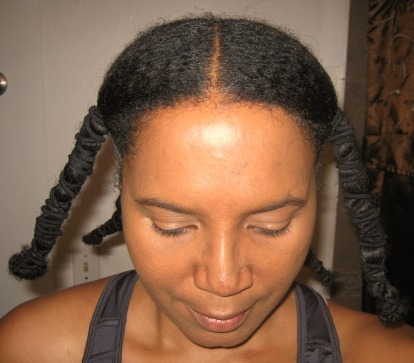 This method is used to stretch coily hair that experiences heavy shrinkage after washing. Just bind your hair with regular hair bands, and allow it to dry. The effect is exactly the same as if you blow dried it without the heat damage. 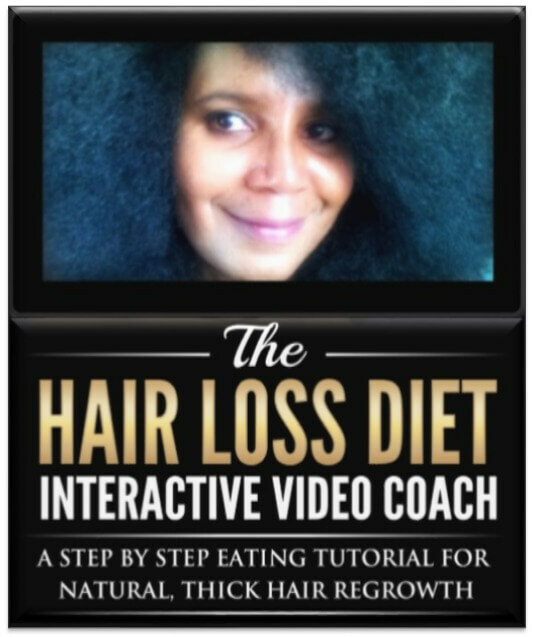 The Hair Loss Diet Interactive Video Coach is a step by step video tutorial for the hair loss diet. Every single concept of the hair loss diet is incorporated into our 90-minute video tutorial. Click here for more.